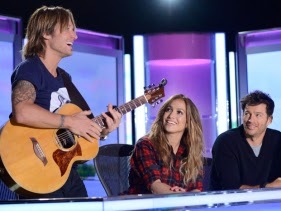 WJSG Internet Radio: Could There Be An American Idol Winner Already? Could There Be An American Idol Winner Already? Sellars was handed a Golden Ticket — two, in fact — but not before she followed Connick's orders and said dead into one of the cameras, "My name is Marialle Sellars and I plan on being the next 'American Idol.' " And so far, she's emerging as the season's front runner.